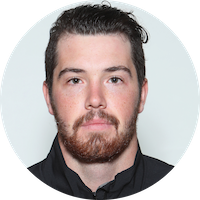 Throughout the 2017-18 season, U SPORTS sits down with one key athlete, coach, and staff member of each U SPORTS athletic program in our new interview series "Getting to know…"
I was attracted to Saint Mary's because of the opportunity to live in a new province and experience new things while working toward an education as well as playing the sport I love. I had been to Halifax once prior to coming to SMU during the Canada Winter Games in 2011 and loved the city and beautiful scenery the water presents. Fast forward five years later speaking to a friend who was playing for the Huskies and loving every minute of it, the opportunity to return to Halifax became something I couldn't pass up.